I read 106 books total in 2013 (see the full list of titles here). Do you know how hard it is to pick my top 10 from that long list? Very hard! Daring Greatly — This book impacted me deeply and my life will never be the same as a result. In fact, I was so challenged by it that I had a necklace made that I wear almost all the time as a reminder. Two caveats: the book is not written from a Christian perspective and has a lot of fairly strong language in it. However, it messed with me in such a good way and motivated me to confront the shame in my own life that I didn’t even realize I was there. Powerful stuff that has forever changed how I think and live. What’s So Amazing About Grace? — I believe every Christian should read this book. It caused me to step back and examine what grace means to me and how I’m displaying that grace to others. It’s a very thought-provoking read — even if you don’t agree with all the conclusions. One Thousand Gifts — I feel like I was the last person on planet earth to read this book and, after reading it, I know why it’s been recommended so highly to me. I love Ann to pieces. She’s so heartfelt, deep, and Jesus-filled. This book is a little piece of her soul… and it’s beautifully inspiring. I didn’t expect to be so moved by the book, but I was. It challenged me to slow down, savor, and count the gifts that God has given me. And to be a noticer of the little things that we often fail to see as we rush through life. 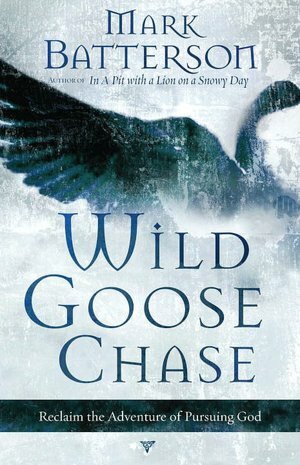 Wild Goose Chase — Mark Batterson (the author) has a way of writing that powerfully challenges complacency. And this book is no different. I think my biggest takeaway was that we often put God in a box and believe He’s only capable of doing what seems possible to us. But He’s the God who delights to do the impossible — that way He gets the credit and glory! This book really inspired me to pray big prayers and believe God for big things in my life. 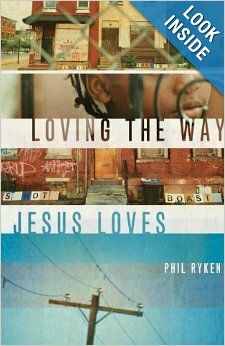 Loving the Way Jesus Loves — This book takes 1 Corinthians 13 and walks you through how Jesus exemplified each verse in His own life. The section on how Jesus loved Peter in spite of how Peter denied Him, walked away from Him, and turned his back on Him was so convicting to me in my own relationships with people in my life. It’s easy to love those who love us back, but I want to love like Jesus and love those who hurt or mistreat me. Embracing Beauty — I royally surprised myself. Because I loved this ebook! It was breath of fresh air for me. 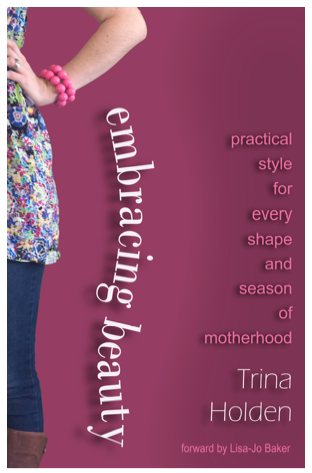 I loved Trina’s perspective on beauty from a Christian standpoint in the beginning chapters. In fact, it really challenged some of my preconceived ideas and beliefs–which I appreciated. Early to Rise — I was so inspired by this book that I did a month-long challenge here based upon it. 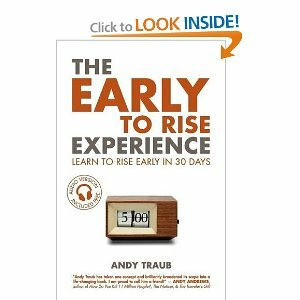 If you want to develop the habit of early rising, I think you’ll find this book to be very beneficial and helpful. Andy’s ebook is not for someone who isn’t willing to endure some discomfort and put forth some effort. If you’re happy with how your life is and you’re satisfied with your mornings and your productivity, then you probably don’t need Early to Rise. However, if you struggle to get up in the morning and you struggle to be productive during the day wish you could regularly get up earlier and get more done in the mornings, Early to Rise will challenge and motivate you. It’s broken down into easy, manageable steps to get you started on the path to consistent lifelong early rising. Even though I typically get up fairly early, I was re-inspired by it to make early rising even more of a priority in my life. 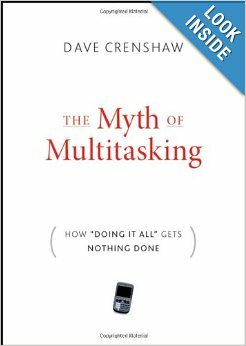 The Myth of Multi-Tasking — This book is a really simple and quick read, but it’s very thought-provoking. I always thought I was a pretty good multitasker. Now I’m not so sure. You see, according to the book — and I’m beginning to be persuaded it’s true — there is no such thing as true multitasking. Instead, the author makes the case that what we call “multitasking” is really just an inefficient way of switch-tasking. When we are trying to do two things at once, we’re really just switching back and forth between two different things — taking a much longer time to do both. The author does say that there’s such a thing as background tasking, where you are listening to music while cleaning, etc. But when it comes to tasks that require concentration, he makes a strong case that multitasking is a misnomer. The more I’ve been testing this theory out in real-life, the more I’m beginning to believe that it’s true. And reading this book has caused me to step back and evaluate how I’m spending my time and how I can be more productive by not trying to multi-task but instead just concentrate completely on one task at a time. Bread & Wine — I loved reading Bread & Wine. It moved me. It inspired me. It challenged me. And it made me want to spend more time in the kitchen and around the table. Present not perfect. That’s how I want to live. What were your top reads from 2013 and why? I’d love to hear! Thanks for the great reading list! I read some of the books off of the list you posted last year and really liked them. Many of these look like must-reads as well! My favorite read of 2013 was “Love Does” by Bob Goff. I love the simplicity and fun that Goff tries to bring through his writing, encouraging us to be whimsical lovers of God and people. There are so many good books out there! I have been wanting to read Daring Greatly forever, but our library doesn’t have it! I’m definitely saving my Swagbucks for it now. I loved Bread and Wine, too! I’m going to add a few of these to my list. Love this list! I’m working on Daring Greatly. 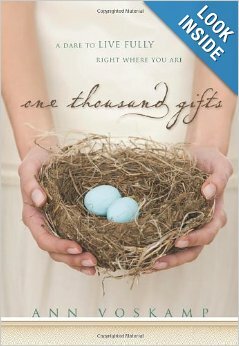 I’ve read 1000 gifts and Bread & Wine (Shauna’s Dad is the pastor of my church!). Have to add the other books to my list. Gospel by JD Greear. Life Changing book on the Gospel being not just the way to salvation but the basis on which every minute of our life should be lived. As I mentioned in a different post, LOVED Bread & Wine!! 🙂 Just reserved Daring Greatly from our library and I can’t wait to read it!! Thanks for sharing your list! I’m excited to read some of these based on your reviews. I was looking for some really good books to add to my dwindling list. The best book that I read in 2013 was a book called “Oola: Find Balance in an Unbalanced World”. It was hilarious and thought provoking at the same time. No fiction?? I couldn’t live without fiction. Two fiction that I really enjoyed this year (if you’re looking for suggestions!) we’re Edenbrooke and Major Pettigrew’s Last Stand! Great ones. I loved Shauna’s book, especially. Her best work yet. Bread and Wine is on my best of 2013 list, too. An all time favorite. This was an OUTSTANDING list and I’m motivated and excited to read pretty much all of these. Looks like my New Years resolution will be to read more books and become the best, most educated form of myself! Thanks so much for all that you post! I look forward to your posts each day! I’m more of a fiction person any-who. Only non-fiction I read is textbooks. I once had a class that required us to read one of the “Five Love Languages” books – ugh. It’s been 2 years since then and I can say that I don’t remember anything about the book except thinking that I knew that stuff already. Give me a good fantasy book and I will read, read, read. I read the whole Wheel of Time series. That’s 14 books. BIG books. I mean HUGE. They make Lord of the Rings look like a children’s picture book. That’s my kinda read. I always love when you post your reading lists and recommended books. I’ve found a number of great ones from you! I’m putting some of these on my wish list from the library and Paperback Swap. Thanks for sharing! So, I’m curious, do you buy all of these books?!? Or do you rent from the library, find them free, etc? Thanks a lot! I have similar topic books on my list and have read a few of these–all worthy books. I also have read other books related to things I enjoy in life. I had a garden for the first time this year and learned to take care of it by reading books. I also do crafts and broadened my horizon in the crafts and needle point by reading books on the topic. I read for lots of reasons but also to learn how to do new tasks or things as well. I loved Bread and Wine and Daring Greatly this year as well! Both were really helpful and inspirational for me. I haven’t made a list of my top books, but I did list all the books I read (46) this year on my blog. Thanks for sharing your favorites, putting a couple of these on my to read list! Early to Rise was a favorite and The Lighter Side of Large–this one is a fictionalized version of the author’s life and deals with her weight and family issues. I didn’t do much reading last year, but I have it as one of my goals for this year and have started out with a much needed book that I already love–The Power of Praying for your Adult Children by Stormie Omartian. I am also leading a study of 7 An Experimental Mutiny Against Excess by Jen Hatmaker. Thanks for your list of top reads–they all sound interesting. 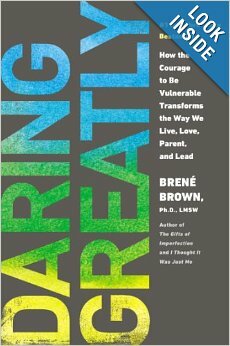 I was planning to read Daring Greatly too–glad to hear your review of it. Loved Andy’s book. I’ve been waking up early, excersing, reading and/or writing for months. Great list. Thanks friend. Glad you’re doing the hard work of rising early. I really loved Secret Daughter by an Indian woman. 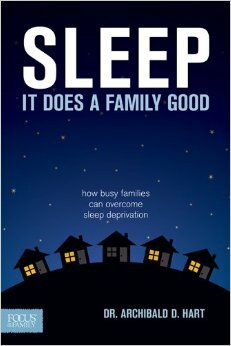 Gave me real insight into foreign adoptions, from biological and adopted mothers’ viewpoints! I’ve added a few of those to my Amazon wish list Crystal, thanks for sharing! I listed mine above, yours made my favorite in the category of Personal Growth. Thanks for sharing – I’ve read some of these, and added some of the others to my “Books to Read” list. 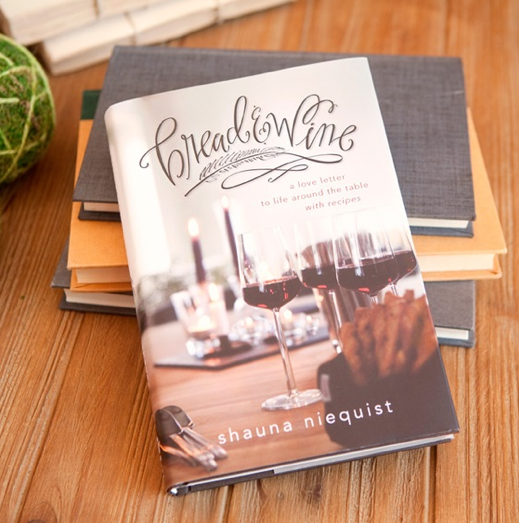 I too loved Bread & Wine – definitely one of my favorite books of 2013! Thanks for posting your favorites. I’ve already added a few to my hold list at the library. Always happy to get some new recommendations for books I wouldn’t have found on my own. My favorite book was Secret Daughter by Shilpi Gowda. It is a beautiful story about foreign adoption told by biological and adoptive mothers. I bought t the book for niece my niece who is adopting a Haitian baby. I have enjoyed several of Chautona Havig’s books this past year–my favorite was “Past Forward” This story incorporated Christian relationships; suspense; grief and happiness; love and hate; & how to live “off the land” amongst other life lessons! Love that you’re sharing these and especially love to see Daring Greatly and Bread and Wine on this list! I just requested The Myth of Multitasking from my library. How had I not heard of that one before? Bread and Wine was one of my favorite reads of this year, so now I want to read some of her others. 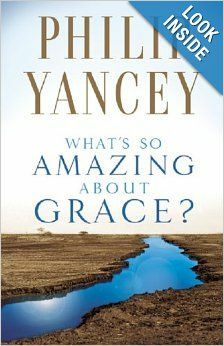 And Philip Yancey’s “What So Amazing about Grace?” is one of my favorites, too. One of my favorites for this past year were Dee Henderson’s new books. I’m not normally a suspense person, but hers are so brilliantly written. I curl up and read them in one long stretch to find out what happens! I want to read some of her others, too! And thanks for the recommendation of Dee Henderson! I am going to admit when I read this at first, I was like “How many books? !” and kind of felt annoyed that I don’t have the time to do that. I used to love to read and just can’t find the time anymore. The next day, though, I decided I needed to give myself and attitude adjustment and remedy my obvious unhappiness with lack of reading to something positive. I have decided that it is realistic of me to read 1 book per month. That’s 12 per year. It probably sounds like ‘nothing’ to avid readers but I just don’t have the time and then gave up reading altogether, which has made me sad. 🙁 I am very excited to achieve this goal and I would like to thank you for inspiring me. I am going to start with Daring Greatly and I just had it delivered to my Kindle. THANK YOU! I love this — and I’m cheering you on in your success to read 12 books! You can do it!